JP Supplies stock and supply a range of eye protection safety glasses designed for optimum protection when working in hazardous environments. Choose from a selection of safety spectacles designed for comfort and protection, with both framed spectacles and goggles available. 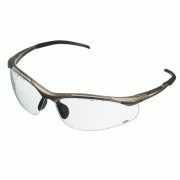 Protect your eyes from dangerous materials with strong and secure eye protection safety glasses from JP Supplies. We supply personal protection equipment to suit a range of industries, with a swift and successful delivery schedule to make sure all orders are shipped and delivered to exceed customer standards. Browse through our other product ranges for more information.